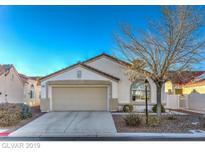 Below you can view all the homes for sale in the The Parks subdivision located in North Las Vegas Nevada. Listings in The Parks are updated daily from data we receive from the Las Vegas multiple listing service. To learn more about any of these homes or to receive custom notifications when a new property is listed for sale in The Parks, give us a call at 702-323-5963. A California Exodus Favorite Dont Delay Act Today MLS#2088913. Platinum R.E. Professionals. Hurry This Great Property Will Go Fast!! ! MLS#2085724. Impress Realty LLC. New Interior & Exterior Paint, Granite Counter Tops, With Slate Stainless Steel Gourmet Kitchen Appliances, Solar Panels To Save On Electric Bills, Large Open Great Room Style, Covered Patio In Backyard With Easy Maintenance Shrubs And Peaceful Layout Backyard. MLS#2082151. Signature Real Estate Group. !PRivate Backyard with a Covered Patio! ! MLS#2076898. Motion Properties. Great outdoor space for entertaining with covered patio. Currently tenant-occupied. 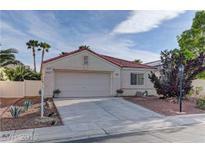 MLS#2074665. ADG Realty. Well kept and cared for. Welcome home! MLS#2075214. Elite Realty. With a 9,583 square foot lot, you have space for an RV and lots of potential! ! MLS#2072202. Keller Williams Market Place. Great home in gated community close to shopping, schools and parks*Home features 3 bed/loft with 2 baths*Tile and wood throughout down stairs*Large kitchen with breakfast nook*Master with walk in closet and roman tub*Separate laundry room*Huge covered patio on a spacious lot for entertaining* MLS#2060887. Keller Williams Market Place. * New paint and flooring throughout the home * Better than new* 4 bedrooms & loft *Bedroom & bath down * Enormous loft with gorgeous mountain views * Great backyard with real grass & tree * Amazing mountain views * PRICE REDUCED ** SELLER WANTS QUICK CLOSE** MLS#2050333. Century 21 Gavish Real Estate.